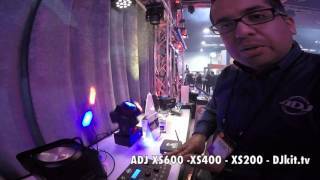 The American DJ XS 600 is a new revolution in moving lights. It features dual axis heads and has continuous 360 degree rotation in both directions. The XS 600 utilizes 6 x 10-Watt LED that project sharp beams of light. Its compact size and lightweight makes it ideal for mobile entertainers, small club and bars, roller rinks, bowling centers or any mobile production. Considering purchasing the American DJ XS 400? Have questions? Ask people who've recently bought one. Do you own the American DJ XS 400? Why not write a review based on your experience with it. Had 2 of these. Brilliant with a little haze. Also recommend the Adj remote. Another fantastic product from American DJ. As soon as it arrive couldn't wait to try this XS400 out, and I wasn't disappointed great stunning Disco Light. Looking to using it this weekend along with my other American DJ lights. Delivery from djkit as ever first class. 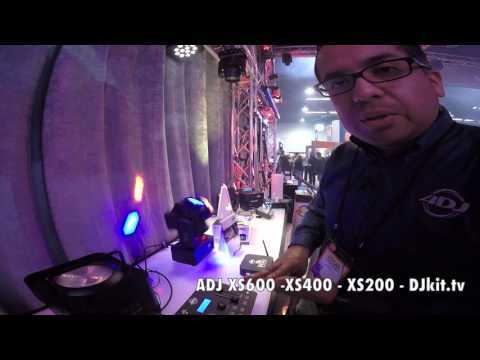 Seen a video for American DJ XS 400 online or have you own video? Check out American DJ XS 400 on DJkit.com!